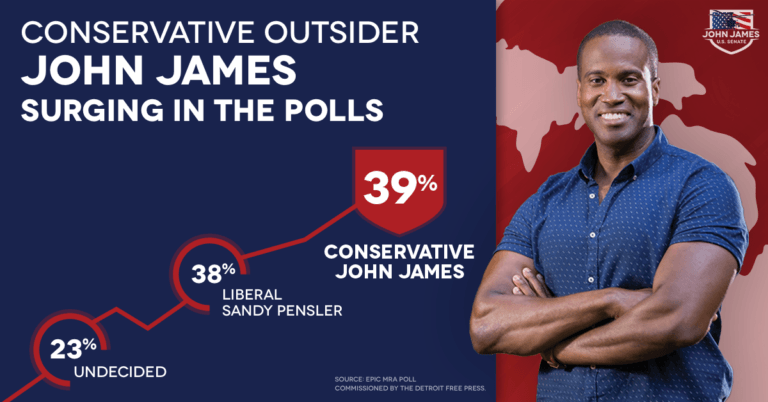 A husband, father, combat veteran, and businessman, John James is a conservative Republican. The former Army Captain and West Point graduate who flew Apache helicopters and become a Ranger qualified Army officer, was deployed during Operation Iraqi Surge and Operation Iraqi Sovereignty, and now is President of James Group International, a supply-chain logistics company in Detroit. Michigan needs to be represented by a senator with his kind of experience and values. Bonnie, I just became aware of him and was so impressed, I posted this. He has great positions on all the issues important to us. Pray blessings and protection over John James. 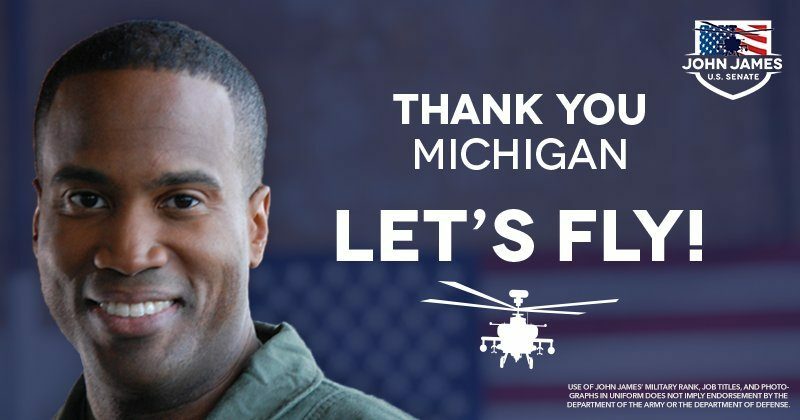 Pray Michigan sees their need for such a voice as John James representing their state.. Please Lord, I claim this election win for John James and the plans you have for him and Michigan. Yeshua, will lead him to victory. Amen! Praise the Lord for President Donald Trump and all who wish to follow the Presidents lead. I’ve been following him. A great guy loaded in potential. He’ll win. Donald Trump is doing a MAGA rally Monday night in Texas. Unbelievable. It’s an ACT of TREASON that WARMONGER, CHRISTIAN HATER Turkey, continues to be a member of NATO — ENDANGERING Europe. And an even Bigger ACT OF TREASON, that the EU plans to make Turkey a member of the EU. Watch: Turkey’s President says the closing of mosques by Austria is a declaration of war. A TRUE American who can’t be bought! 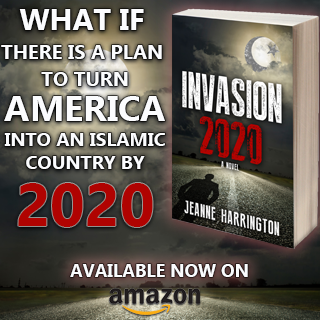 Who will NEVER sell out America and Americans to Global Islamic Conquest and the PLANNED ONE WORLD GOVERNMENT-One World Religion! God bless WONDERFUL AMERICAN, John James! I like him too. And he’s a black person who’s not obsessed with his race. Presidential material, maybe? Definitely. 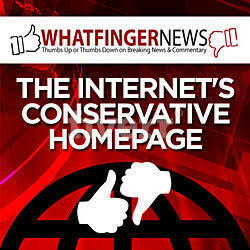 I always say that black conservatives are the best conservatives, because it’s so hard for them to be one. I hope Michigan voters have the common sense to vote for this man. Frankly, I think the state is lost to the slimes. John James is indeed, awesome. I’m thrilled Republicans have so many great candidates; & the liberals are so incredibly incompetent & ignorant in comparison. 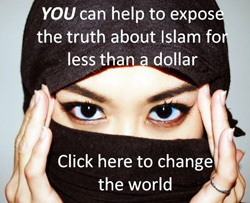 Once Republicans sweep the votes in November, perhaps we could focus on stopping the brainwashing of our youth to Communism; & now the added indoctrination into Izlam. Go John James! A breath of fresh air finally! Michigan needs a strong Republican like this man. I hope he is elected. Having served in Iraq, he must know what we are up against.